TeamLook augments Microsoft Office Outlook with the work item tracking tools of Team Foundation Server and then some. Create, edit, search, and organize your project’s work items without even leaving your inbox. 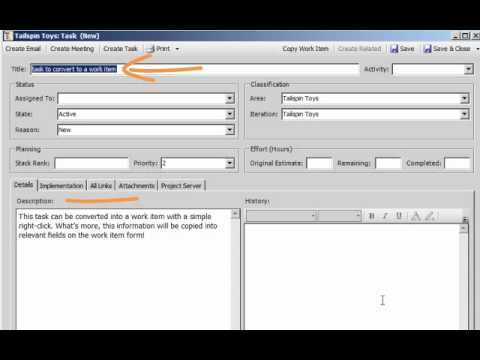 Create new work items with the familiar work item form or with a prescribed template that saves you busywork. Or create a new work item from an email or event and TeamLook will automatically transcribe the content from the Outlook artifact to a work item form. Managing your work items with TeamLook unlocks all of the power of Team Foundation Server in an environment that is more efficient and natural than Visual Studio. 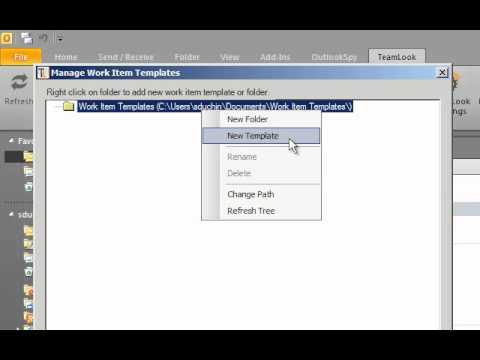 Use TeamLook to create new Team Foundation Server (TFS) work items with predefined templates inside Microsoft Outlook.